Karl Obermair: "This strikes at the very core of our existence. Our goal is to restore our credibility." BERLIN/FRANKFURT (Reuters) -- Germany's ADAC car club said revelations that it had falsified the results of its annual car award struck at the core of its credibility and has led some critics to raise questions about its car safety tests. ADAC communications director Michael Ramstetter resigned after conceding he manipulated the results of the car club's coveted "Yellow Angel" award for Germany's favorite car, which was won last week by the Volkswagen Golf. "We've got our work cut out for us to repair the tarnished reputation," said ADAC managing director Karl Obermair, who called Ramstetter's actions "an inexcusable mistake." "We're very sorry," added Obermair, who initially scolded media for reporting doubts about ADAC's vote counting. "This strikes at the very core of our existence. Our goal is to restore our credibility." ADAC, Europe's largest and most influential car club, has over 18 million members. Its Yellow Angel award can give a boost to sales in a competitive domestic market. ADAC conceded that Ramstetter, the editor of ADAC's popular ADAC Motorwelt magazine, that calls itself Europe's biggest monthly with 18 million readers, massively inflated the results of votes, saying 34,299 motorists had voted for the Golf as Germany's favorite car when it had only been 3,409 votes. ADAC, whose car test reports are followed closely in a country with a deep affinity for its automobiles, said the order of the results was not tampered with -- only the total number of votes. But that comment did little to calm the storm of protest in Germany over the vote rigging at what is usually ranked as one of the country's most respected institutions alongside the Bundesbank and the consumer watchdog Stiftung Warentest. "It's up to ADAC to come clean with everything," said Transport Minister Alexander Dobrindt, himself a target of ADAC criticism at times. Dobrindt said the club founded in 1903 should start "showing a little more modesty" in the future. Volkswagen Group said on Monday that it was considering giving back the award. ''The ball's in the ADAC's court now," said Peter-Heinz Thul, head of VW's product communication, in an interview with NDR radio. 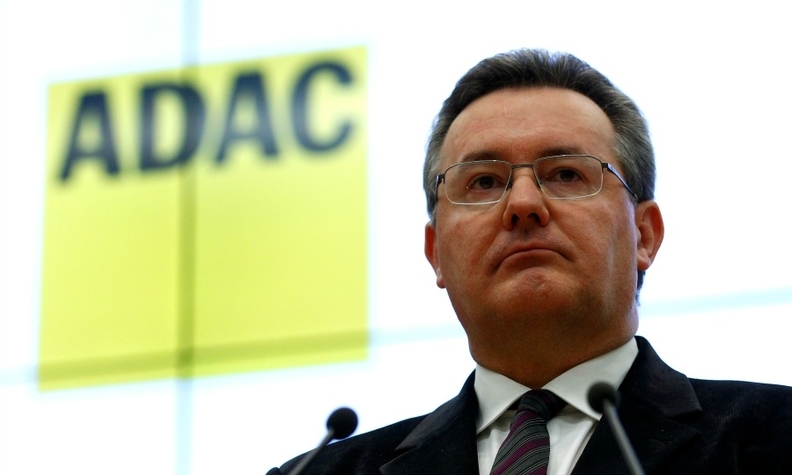 He added VW expects ADAC to thoroughly investigate the scandal. "We'll then decide what to do with the award." The sharpest criticism of ADAC, which stands for Allgemeiner Deutscher Automobil-Club, came from Ferdinand Dudenhoeffer, a car expert at the University of Duisburg-Essen. He said ADAC's reports and rankings need to be reexamined. "The car breakdown statistics and tunnel safety reports need to be re-examined," said Dudenhoeffer. "If there are lies told about the 'Yellow Angel', other areas can't be ruled out." ADAC has long wielded considerable influence in Germany. It coined the slogan "Freie Fahrt fuer freie Buerger" (Free travel for free citizens) that long served as a rallying cry against introducing a speed limit on freeways. The ADAC affair recalled another scandal about German car testing in 1997 when a Swedish motor magazine found Mercedes-Benz's A class tended to flip while undergoing its "elk test", or evasive maneuver test. German magazines did not detect the flaw. Mercedes first declined to comment but later recalled the cars to retrofit added safety features. German carmakers were also shaken up by the revelations and reverberations from the vote-rigging at ADAC over a prize that might be prestigious in Germany but of minor relevance abroad. Daimler, maker of Mercedes vehicles demanded speedy clarification from ADAC. "We expect that ADAC will, in its own interest, comprehensively investigate this matter and then inform the general public," a Daimler spokeswoman said. A Germany-based spokesman for Ford said: "The prize has a big reputation. One should be able to assume that finding a winner is done in a manner which is above board." Helmut Becker, a Munich economist, who worked for BMW Group, said the ADAC scandal might trigger a broader shake-out. "We need to take a more critical look at all the awards in the car sector," he said. "I see a danger that vehicle comparison tests have also been manipulated." Franz-Rudolf Esch, a professor of brand management and automotive marketing at the European Business School, said carmakers take the awards seriously as they help sell cars. "Generally speaking, prizes are important," he said. "It is a nice decoration and an external validation. This has a particular impact on manufacturers with weak brands. Clients feel they're doing the right thing by buying a car that has been awarded a prize." Another way to measure the importance of a prize is to look at how companies themselves revere them, Esch said. "The level of seniority of staff who accept the prizes gives a good indication of how important these awards are," he added.